A friend refers you to a best-selling book about true-life events. She gives it rave reviews on how it changed her life and she highly recommends it. It’s just that powerful! After talking to her you order the book immediately. The moment you get the book you decide to start with Chapter 8 of this 10-chapter book. Therefore, you finish the book in record time. Although you were confused since you only read the last 3 chapters of the entire book, you refused to read the first 7 chapters. Another friend had also told you about this book and they said the first seven chapters were irrelevant. Later you see your first friend who had recommended the book and they want to know how the book has changed your life. Your reviews aren’t glowing, in fact, you were confused and even frustrated while reading this book. It turns out that it didn’t help as much as you had anticipated. This is how 20% of Christians read their Bible, by exclusively staying in the New Testament. Never taking the time to absorb, learn and apply God’s entire Word. (1) Start from the Beginning. To get a clear understanding of God’s Word, we should start with the first book of the Bible, which is Genesis. If you are just starting out and you are not used to reading God’s Word, you can set your timer for at least 5 mins a day. Pray beforehand and ask God for understanding and wisdom for His Word. Pray afterward that God will help you to retain His Word in your heart and correctly apply it and learn from it throughout your day. Create time for His Word, either in the morning or in the evening, just make sure that you are consistently reading God’s Word every day. (2) Go slowly. The worst thing you can do is speed read through the Word of God. You want to meditate, capture and ponder on the thoughts and Words of our Almighty Creator. After a verse or two, stop and ask yourself: “What did I read? Did I understand what I read?” I suggest getting a notepad to write down some questions you would like God to answer. (3) Stay committed. The fact is that we are all super busy most of the time. We are drained from many areas of our life, but the commitment we make when we spend time in the Word of God is a life changer. The Word of God is a life sustainer. When you are feeling discouraged or frustrated, write it out or talk it out with God. We need Him! When we stopping eating God’s Word, that meal gets replaced with something else that is not beneficial to our Christian growth. Nothing can replace the Word of God! 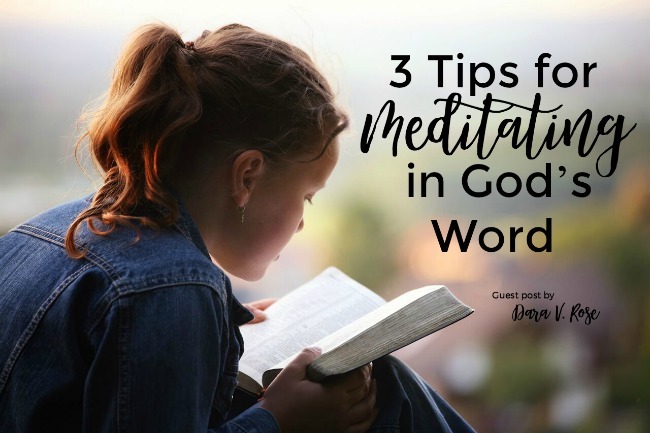 Meditating in God’s Word Bible Study Series for Women takes the reader on a 5-day meditation journey through the Scriptures focusing on a new perspective each day. The purpose is to saturate your brain with new ways to look at God’s Word every day. MGW Series follows the storyline throughout the Bible, summarizing narratives and clarifies the genealogies in a clean and neat pattern, with a custom legend as a guide. Dara V. Rose is a devoted wife and mother. She discovered her love for the Bible while being a stay at home mom for nearly a decade. It was then, she learned the simplicity of the God’s Word. 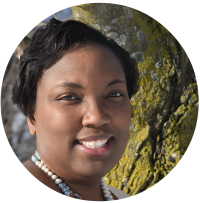 She has a passion in for sharing God’s Word through simple Bible Study discussions with women from all walks of life. She enjoys writing, crafting, reading, researching the Bible and Christian movies. Dara’s desire and purpose are for women to be strengthened in their relationship with God by Meditating in His Word.